Friends of Hwange was formed on the back of the extreme drought of 2005 that severely affected Hwange National Park. The National Parks & Wildlife Management Authority of Zimbabwe, plagued by lack of funding & a decrease in tourist arrivals, did not have the funds to keep enough borehole pumps going. As a result, only a handful of waterholes had water & countless animals died. Hwange National Park has very little natural surface water during the dry months of the year. Most of the water has to be pumped from underground sources to surface pans so that the wildlife can drink. This involves raising funds to purchase fuel to run diesel engines, & materials to repair & maintain the engines, boreholes & drinking troughs. 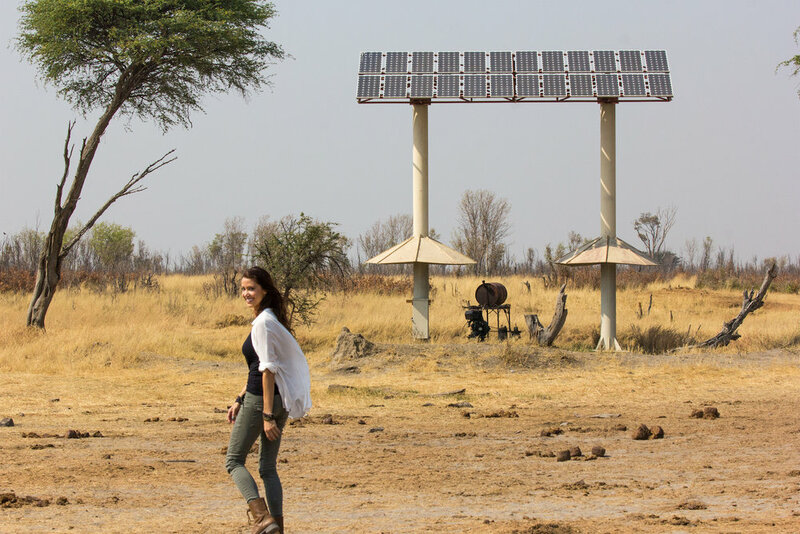 The Shannon Elizabeth Foundation was honored to support the purchase of a solar powered water pump to assist one of the diesel pumps in Hwange National Park. We also supplied some diesel and a GoPro camera so that rescues, traumas and successes could all be documented by FOW. We also assist as the non-profit’s US partner. To develop & maintain water resources in Hwange National Park for the benefit of it's wildlife, in collaboration with the authorities responsible for the Park. To develop & maintain opportunities for the conservation and sustainable utilization of natural resources in the Park so that it will be enjoyed by generations to come. To assist in the attainment of national objectives for wildlife conservation, with particular reference to Hwange National Park. Crisis management: To ensure that FOH does every thing in its power to prevent animal deaths owing to lack of water or poaching activities. To assist National Parks in carrying out their duties in terms of deployment of rangers on anti-poaching patrols. To maintain roads & fireguards in the park. To work towards a situation where there are sufficient, well-distributed waterholes in Hwange National Park that pump water through eco-friendly, cost-effective means such as solar & wind power. This will remove pressure on areas of the park where animal (especially elephant) traffic is high, which causes long term destruction of grazing areas. To expand our efforts in conservation issues such as anti-poaching & research. In the beginning, FOH was responsible for 10 key northern waterholes in Hwange National Park. Today we are responsible for all of the pans in & around the Main Camp area. Due to the expense of diesel (a single borehole engine uses around 500 litres a month) alternative methods of pumping water have been explored. Whilst windmills are robust & affordable, their pumping capacities are limited. Their function is to provide a head start so that waterholes are as full as possible by the start of the long, dry season, thereby reducing diesel requirements for the drier months. Solar systems drastically reduce fuel requirements but pump water during daylight hours only, & this is often insufficient to meet the demands of the wildlife. In the dry season (July – November) the demand for available water increases, mainly due to elephant pressure. The diesel engines are kept running continuously & the need for fuel is at its maximum.